Tweet: Nothing brings a family together like death and dysfunction. A very funny and poignant novel, expertly crafted and delightful to read. As the week goes on, the family unpacks old resentments and misunderstandings, forcing Judd to reassess his role in contributing to the family dynamic as well as the demise of his marriage. While the family renews their relationships with each other, Tropper perfectly captures the staccato and bravado of sibling banter. I both cringed and laughed out loud at the barbs they lobbed at each other, some in-your-face and others quietly nuanced, designed to substitute for the Foxmans' "patented inability to express emotion during watershed events." Added to the mix is the brashly delivered wit and wisdom of their mother, ironically a psychologist and child rearing expert who harbors secrets of her own. 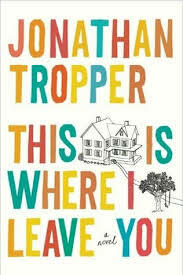 In addition to the siblings and their mother, Tropper orchestrates a fabulous group of ancillary characters who bring humor and pathos to the struggling family. Each sibling is joined by a spouse or significant other who adds another level of chaos to the mix. For seven days, a menagerie of friends and relatives visit in a steady stream, providing diversion and comic relief as old wounds surface. By the end, most issues are resolved, but never flippantly. The Foxmans will continue to poke each others' bruises as only siblings who love each other can do. And while Judd does become more self-aware, he still has room to grow. Tropper clearly cares about Judd and this family, and I can only hope that he will write about them in a future novel. They deserve to be visited again. I stumbled upon your blog on account of the BEA literary speed-dating post, but realized I've read several of your reviewed books (The Dinner included). Loved This Is Where I Leave You. Tropper handles chaotic dialogue and action with such ease. I recommended this book to every member of my family. Welcome! 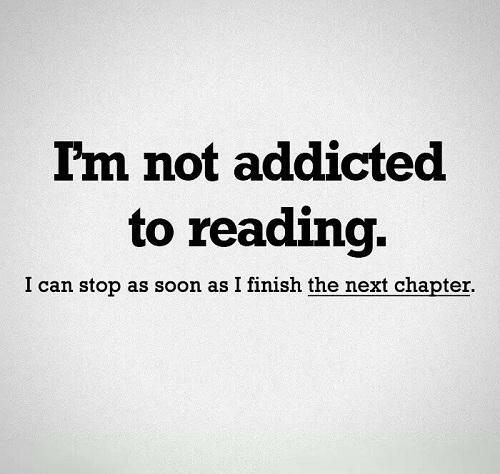 So glad you found Book-Tweet. 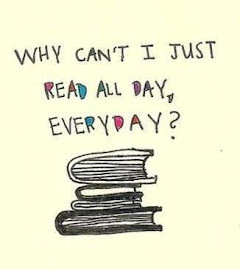 It sounds like we have similar reading interests. Check back soon -- hoping to start some giveaways once my BEA boxes arrive!